In this video Gregg talks about the intrinsic nature of the Universe ! How everything within the universe is holographic in nature and the implications for anyone interested in directing the amazing power of their mind. "A hologram is a pattern that is whole and complete unto itself and, at the same time, it is part of an even greater pattern that is whole and complete unto itself ... while at the same time is part of an even greater pattern." (ad infinitum) And here’s the staggering part .... the beauty of the hologram (is that) any place in the pattern of a hologram where you make one little change, that change is mirrored throughout the rest of the hologram. According to Hudson Smith, each brain is already capable of a greater number of associations than the number of atoms in the universe. 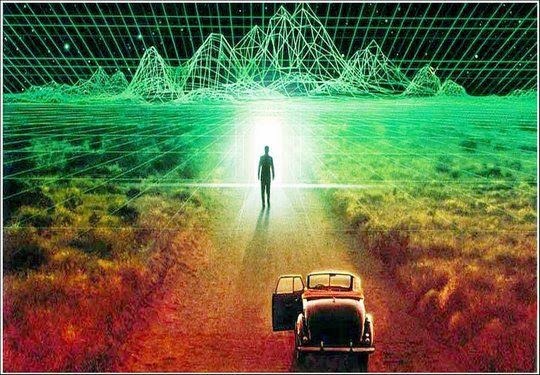 Morever, there is a strong evidence that the holographic universe acts as an interconnected mind to which each human being can have direct access. Humanity is already capable of remote viewing, telepathy and clairvoyant vision. The reality of humanity's interconnected thought field has already been rigorously demonstrated by psychophysiological researchers and found to be based on quantum physical principles called 'entanglement'. New capabilities of clairvoyant sight will become more common place in future generations. Some signs that this is developing can already be seen in the demonstrated abilities of some unusual children, who have been given names such as Indigo, Dolphin or Crystal Children. These children are demonstrating advanced mental and emotional capabilities that will become commonplace within all of humanity. There will also be breakthroughs in inter species communication technology, allowing humans to have dialogues with intelligent creatures such as whales and dolphins. This will aid humanity in becoming better environmental stewards of the planet. Gregg's message is similar to Rupert Scheldrake's on morphic resonance; recreating the human matrix in the mold of compassion is all about making compassionate choices. These choices begin with you and me. Who is the artist on this first picture? 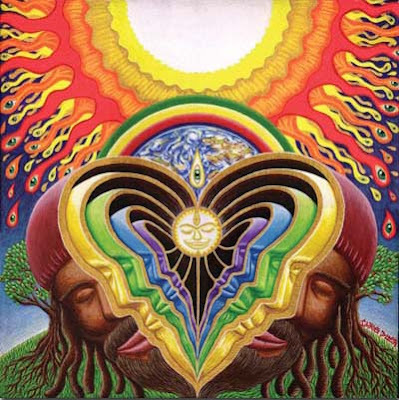 Who is the artist of the rainbow unfolding man's head?!! Please help!